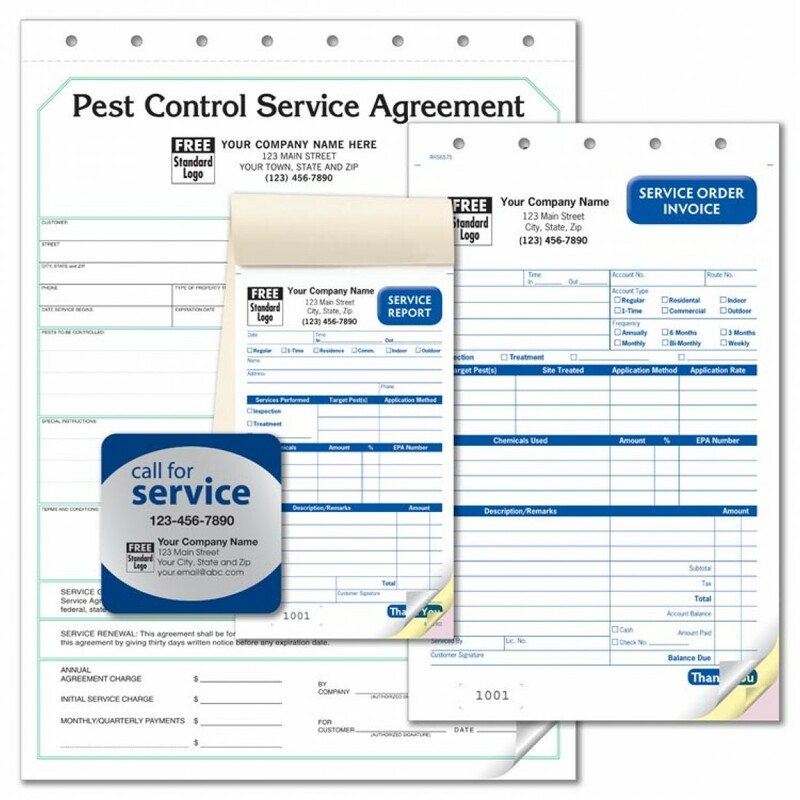 Pest Control Forms Starter Kit PESTKIT At Print EZ. Pest Control Forms Starter Kit Item No. PESTKIT Size: 0 x 0"
This pest control forms starter kit will indeed help your pest control business prosper. Not only will you be able to maintain clean and clear records, but also organize your paper-work better and impress the client with your professional working. 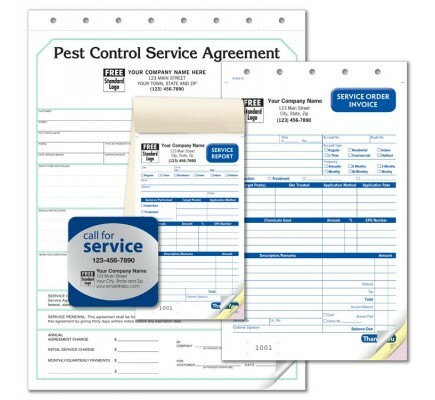 The kit offers not only pre-printed agreement forms but also service forms and invoices too. Listing out the details of the job becomes very easy for your executives while the client is clear on the terms of delivery and service. No confusions at either end leads to great execution of work and no doubt earns your business better goodwill that will go a long way in increasing your sales rate.